A few years ago I was in Manhattan to meet an actor to talk about a film project I was working on. This was a person that I have never met before, someone who was recommended to me by another filmmaker, who had promised--and forgotten--to send me his headshot (a photo of his face that all actors usually provide). I waited to meet the guy in front of a coffee shop at the Flat Iron Building, and I realized as soon as I got there that when we spoke on the phone to set up the meeting, we didn’t exchange any identifying clues for each other—did he have blonde hair, would he be wearing a blue coat, were there any distinguishing marks on his neck? And of course, I didn’t think to tell him anything about how funny I look, or what I was going to wear. He had no idea I was a priest, and I wasn’t wearing my priest clothes—it wasn’t relevant to what we would be talking about. Standing outside the coffee shop I was giving every guy the once over, discreetly looking to them for some sign of recognition. I got a few strange looks back, and quickly averted my eyes, fearing they would think I was trying to pick them up. I wasn’t looking to get punched in the face! Finally this fellow shows up, and clearly he is waiting for someone—like me--and I waited a few moments to verify my suspicion that this indeed must be the guy, and then almost simultaneously we both looked to one another, and I asked “Joe?”. He nodded, smiling, and I offered my hand, “Hi”, I said, and he said “Hi” back, and we shook vigorously and decided to grab a table right there on the sidewalk, since it was such a beautiful day. We talked about the weather, of course, and he was rather chatty, and we went from the weather to New York, and I learned that he was originally from Chicago, and I told him about some friends I knew in Chicago. 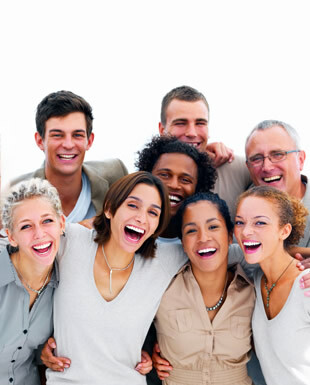 I have always found people from Chicago or anywhere in the Midwest to be nice—they actually smile at strangers on the street. 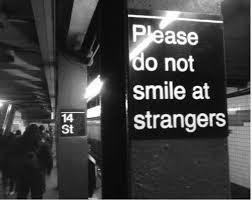 Why is it, we wondered, that New Yorkers are so mistrustful, hard-faced, aggressive? Just at that moment, a man starting screaming and yelling at a truck driver who apparently had stopped in the cross walk for a red light. The driver seemed to be asking for forgiveness with his gestures, but the man wouldn’t stop yelling at him. Eventually he gave the driver an obscene gesture and stomped away. Joe and I looked at one another, and shook our heads. The waiter came and we ordered some coffee and sandwiches, and I got into a whole diatribe about the virtues of rice pudding--don’t ask me why, I was on a kick about rice pudding at the time, and I told him about my mother’s pudding—and he told me about his mother’s bread pudding which he said was the most delicious thing anyone could ever eat. Talking about our mothers, I began to feel comfortable with him, comfortable enough to tell him that he looked a lot like the actor Jeff Bridges. He smiled somewhat shyly, and then said, “Thanks. 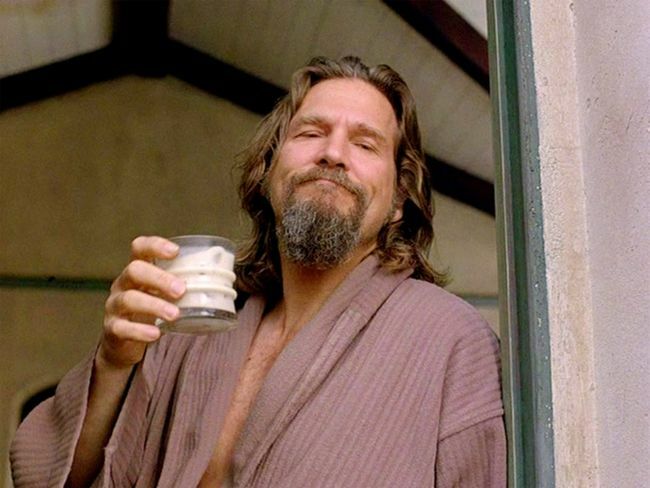 The Dude abides”. It’s a famous line from the movie The Big Lebowski, in which Jeff Bridges plays a laid-back, unemployed bowler. He refers to himself as The Dude, who, like a zen-master, patiently accepts and endures whatever life dumps on him. The Dude abides. In all of the Coen Brothers movies, there is always a righteous soul, with whom the eventual healing of the world abides. That’s The Dude in The Big Lebowski. Well my new friend Joe and I spoke about the Dude, and why we liked that character so much, and what we liked about that movie and many of the other Coen brothers films, and I began to feel like we had a real connection with one another, which would be awesome if I was going to direct him in a film. And we were getting along really well out there on a Manhattan sidewalk in the warm April sun, and our sandwiches came and I had a chicken mozzarella combo and he had smoked ham and cheese, and they were really good. And we’re pretty well into our little meal and I figured we should get down to business, so at the first little lull in between bites, I said, “Well, maybe we should talk about this project.” And he nodded yes, and he reached down into his shoulder pouch and opened it, and took out some papers. “Here’s the proposal I worked up after our conversation on the phone,” he said, handing me some sheets, and I was a little perplexed for a moment because we didn’t really get very specific on the phone. I put my sandwich down and took the papers, and I looked at them, and now I was really confused because they were some plans for a building or something, and I wasn’t planning to build anything like a building this summer. And he said, “Mike told me that you were looking for a subcontractor for the heat exchange…” and I’m thinking, Mike? Who’s Mike? And I said, “Mike? What heat exchange?” And he said, “ Mike Engler, ” or some name like that, “You know,” he said, “the project manager”, and I said, “I don’t know what you’re talking about”. And after a few more questions back and forth it suddenly became clear that this was not the Joe I was supposed to meet, and that he had never actually asked my name (and I had never given it), and he was supposed to be meeting with someone named Chris, not Jim, and we had no connection to one another whatsoever. When we both realized what had happened, it was at once very weird and very funny. I had half of a chicken and mozzarella sandwich still on my plate, his smoked ham and cheese was still half eaten too, and now we were two strangers with nothing in common except that we both liked The Dude, and suddenly we started laughing at the absurdity of the whole situation and piecing together all the mistakes we had made in identification and recognition. And then we looked out at the place where we met, but there was no one waiting there—our real partners had either not shown up or had given up or maybe they were doing the very same thing at that moment, and that made it all the more humorous. Those were the final words of The Dude at the end of the movie. He says them to a stranger at the bar in the bowling alley, and the stranger recognizes how profound those words are and says to the camera; “I don’t know about you, but I take comfort in that. It’s good knowin’ he’s out there, The Dude, takin’ her easy for all us sinners.” Takin’ her easy for all us sinners. That is what grace does, the kind of grace Jesus talks about in the Gospels. 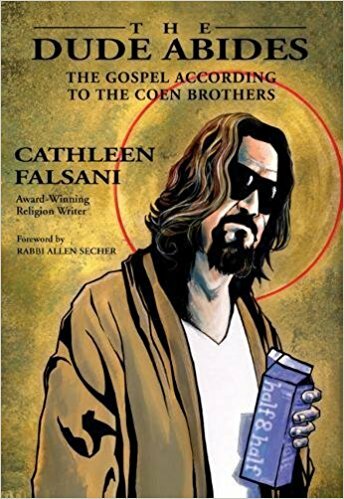 Kathleen Falsani wrote that “it’s the kind of grace that The Dude, in his inimitable way, exudes in every one of his relationships: an unexpected kindness, granting unmerited good will, giving someone a break even when they don’t deserve it…hugging it out instead of slugging it out. It’s the word that Jesus uses today. Abide in me, he says, as I abide in you. Abide in Jesus, who calls himself the vine, and calls us the branches. The first readings today are about the early church and about what kind of a community it was: being built up, filled with the Holy Spirit --and most importantly—at peace with one another, in friendship, as brothers and sisters. And that peace was built upon the commandment of Jesus—that we are to love one another as he loved us, to love one another as John says, “in deed and in truth” instead of with a lot of flowery words and pious sentiment. And then this lovely Gospel—how much I love this Gospel and about Jesus the vine and we the branches! 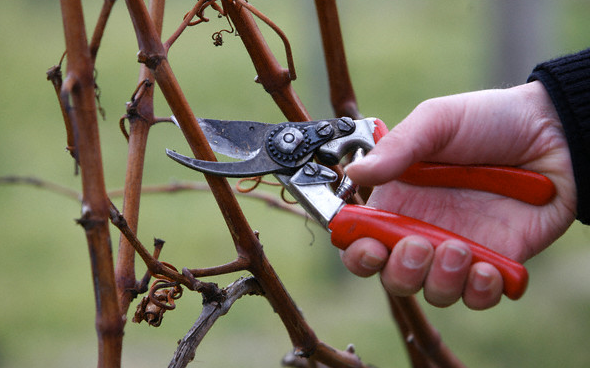 The branches receive their life from the vine, can’t survive without the life-force delivered through the abiding vine. It’s a good image of the Church, isn’t it? We’re all here in this room connected to the same thing, branches on the same tree, and the sap is God’s love flowing in and out of us, one to the other. And the sad thing is that we don’t know that enough, we don’t see it enough, do we? Not even in this church at times. It’s the reason why I’m asking you to pray for one another in this Mass. From the very beginning, Jesus called us to be disciples and apostles to one another and the world. You’ve got to believe that the blood of Good Friday and the light of Easter morning is flowing in and out of everyone here at the good Church of the Epiphany, Jesus takin’ her easy for all us sinners. We belong to one another in that, don’t we? We abide in Him and He abides in us, we belong to the truth, the great Tree of Life. And like all good trees, it will take some trimming to make it grow wider and taller. The health of the tree depends on how much each one of us is willing to be humble and vulnerable and self-sacrificing: how much each one of us is willing to provide the unexpected kindness, grant unmerited good will, how much we are willing to hug it out instead of slug it out, how often we refuse to be cynical and bitter, to be forgiving even when there is just cause for hatred. We can do this, you know. WE can do this, the little family we are in the Church of the Epiphany. We can make New York more like Chicago, we can grow the Tree of real life to break right through this roof, with the powerful love of Jesus in our veins and in our hearts, we can rise up over the mistrustful, hard-faced, aggressive city, spreading our branches to provide shade and shelter for all our brothers and sisters who are still wandering in search of the truth they are looking for, the love that they hunger for, the peace for which their hearts burn and yearn. Imagine, helping each other out, loving each other, no screaming and yelling: out of this vine, a million new branches, all in full, sweet bloom. Imagine it, my brothers and sisters, let us really love in deed and in truth and not merely talk about it. POEM SHARE: Did I Miss Anything? Smelling like popcorn and honey.